You are here: Home / Technology / Is Boeing working on a reusable rocket? With the emergence of a new space race, there is a need to get more and more satellites into orbit. This is especially important for private companies like SpaceX. However, Private companies can afford multiple launches. The government however wants to reduce the cost of sending satellites to orbit by creating a reusable rocket. This rocket would in theory be able to be used and reused, indefinitely. Another major feature of the rocket is that it can be reused within a short period of time. This is especially important as nowadays, rockets have to have a downtime of weeks or even months before the next launch. 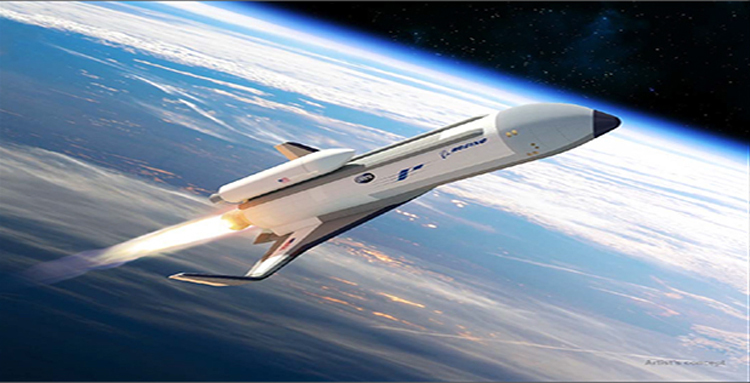 With this idea in mind, the Department of Defense has chosen Boeing to develop this idea into a hypersonic spaceplane. This will be called a spaceplane because it can land like a plane and take off like a rocket. Boeing’s design concept Phantom Express is now under development. The program initiated by DARPA is called the Experimental Spacecraft-1 program. Its goal is to design and engineer a spacecraft that will be a hybrid rocket. It will take off vertically like a rocket and fly to low earth orbit to drop off its payload. Its payload will be a rocket which will take the actual payload into a higher orbit. The payload can be up to 3000 pounds. 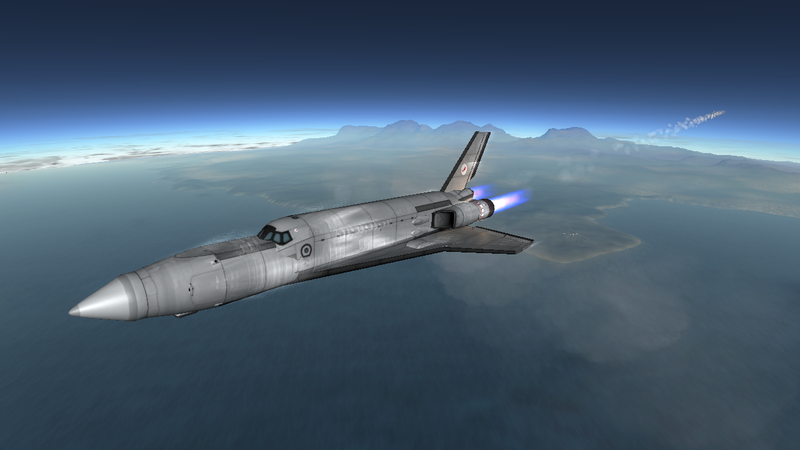 The spaceplane will then return to Earth like a normal airplane. It will then be ready for its next mission within a day. The ultimate goal DARPA is looking to achieve is a turnaround time of just a few hours. This will help the government launch multiple satellites into orbit within a short period of time. You may also like: Moon Village a reality by 2020? The phantom express will truly be a game changer in the spacecraft industry. DARPA is looking to achieve a cost of $5 million a mission. This will be nearly impossible to achieve and will revolutionize space travel if achieved. Darryl Davis, President of the Phantom project says, “Phantom Express is designed to disrupt and transform the satellite launch process as we know it today, creating a new, on-demand space-launch capability that can be achieved more affordably and with less risk,”. Orbital missions usually cost hundreds of millions of dollars. DARPA’s goal is a tiny amount considered to that. When Boeing was selected by DARPA, it had partnered with Blue Origin as a commercial launch provider. However, the engine specified now is from Aerojet Rocketdyne. The engine used is called the AR-22 and has almost the same power output as the engine of the Space Shuttle. According to Eileen Drake, CEO of Aerojet, “This engine has a demonstrated track record of solid performance and proven reusability.” Using a tried and tested engine also works in favor of Boeing as it can be easily modified to suit the new requirements. The first phase was only getting selected by DARPA which Boeing clearly achieved. 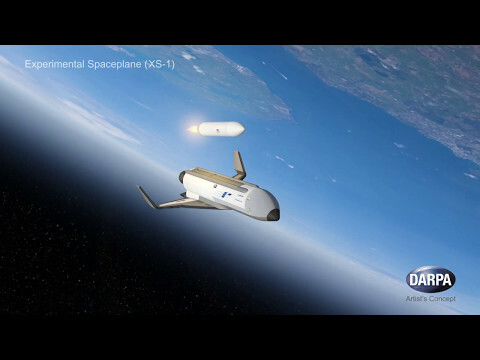 The next stage, namely Phase 2 and Phase 3 is the next step for Boeing in the XS-1 program. Phase 2 will include the steps concerned with engineering the actual vehicle. After it is manufactured, Boeing will begin test runs. These test runs will be only on the ground and not involve actual space flight. This is set to extend through 2019. Phase 3 which is scheduled to begin in 2020 will involve actual test flights. A total of 12-15 test flights will be performed and the eventual goal of this testing will be to launch and re launch the plane 10 times in 10 days. This is primarily to demonstrate the quick turnaround time of the space plane. These test flights will be done without any cargo but later missions can carry cargo up to 3000 pounds into lower earth orbit.